You can specify the language and the type to the attributes of the script tag. The type attribute is used to indicate the scripting language. 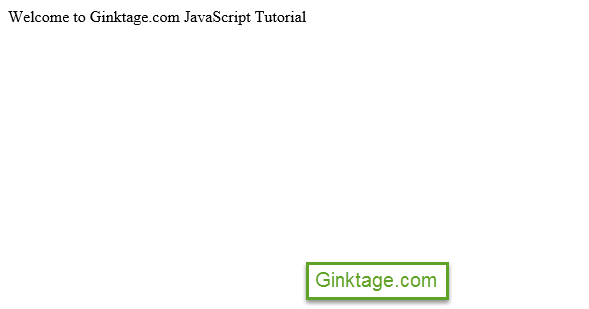 The above displays a simple text using the document.write method which is used to write a string to the HTML page. Below is the output of the above HTML code.